Imagine sailing away on a tall-mast ship in the days of yore, watching the reds and golds of the sunset, feeling the sharp bite of the wind on your face, and finally ending your day of adventure by settling down for the night in the best quarters on the ship, Captain’s Quarters. 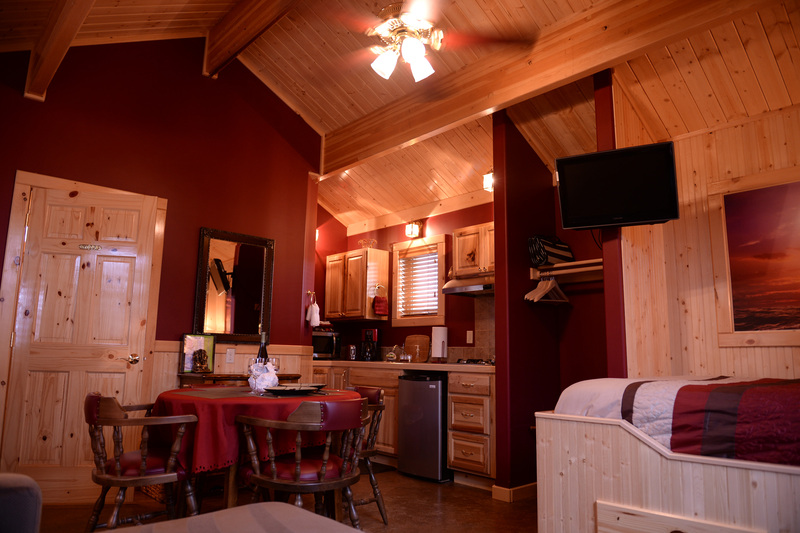 Unique and beautifully crafted, this cozy cabin is truly a gem, complete with a real captain’s bed tucked into the alcove, your own ‘galley’ to take care of the midnight munchies or the long drawn-out breakfast. 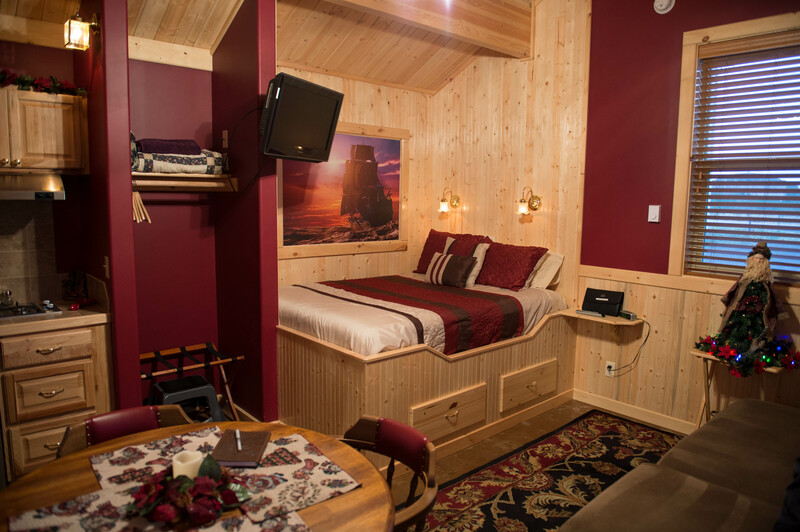 Captain’s Quarters is a stand-alone cabin, 16′ x 20′ in size that has all the amenities of a much larger cabin, but scaled down for the intimacy of a private hideaway. 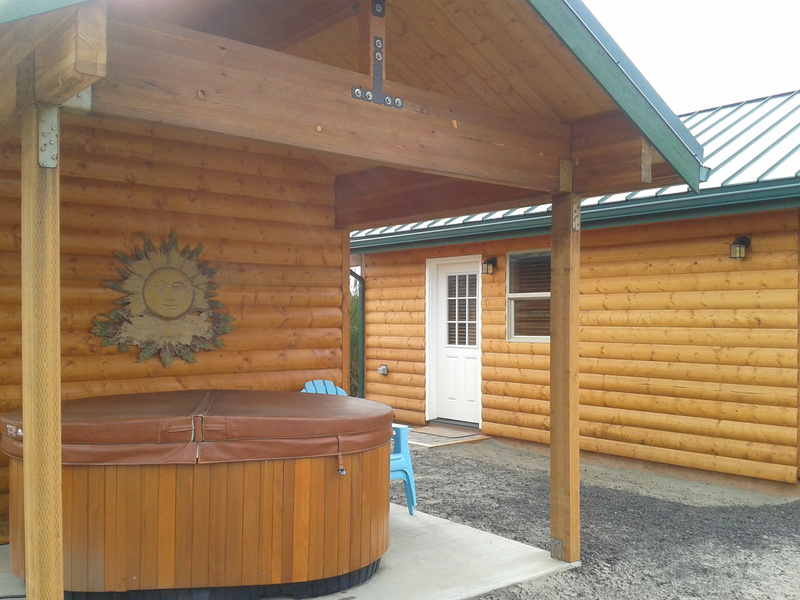 Just a few steps outside the door, slip into the hot tub and soak your cares away. To see the availability calendar and additional photos, just go to www.vrbo.com/464731. 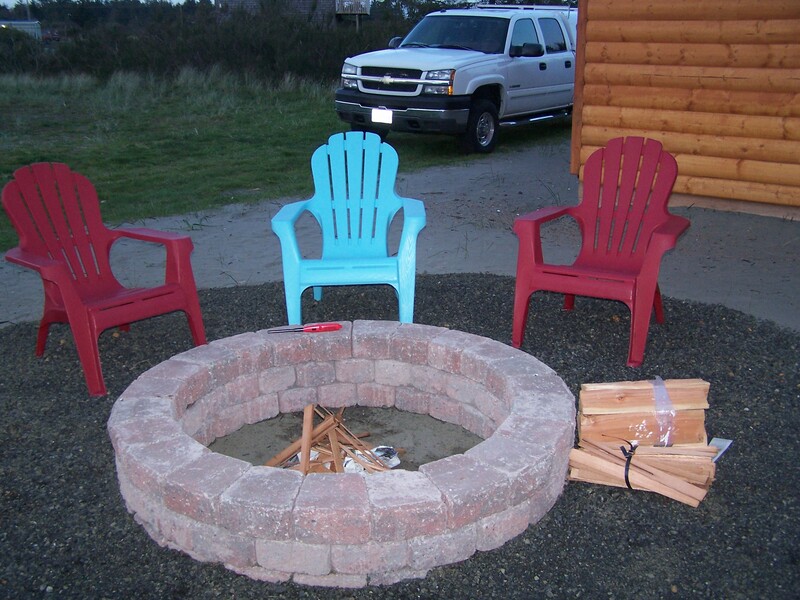 You CAN make your reservation on VRBO, but to save the 10% booking fee they now charge, just call me (Sonja) at 360-591-4049 and I’ll get you all set up. 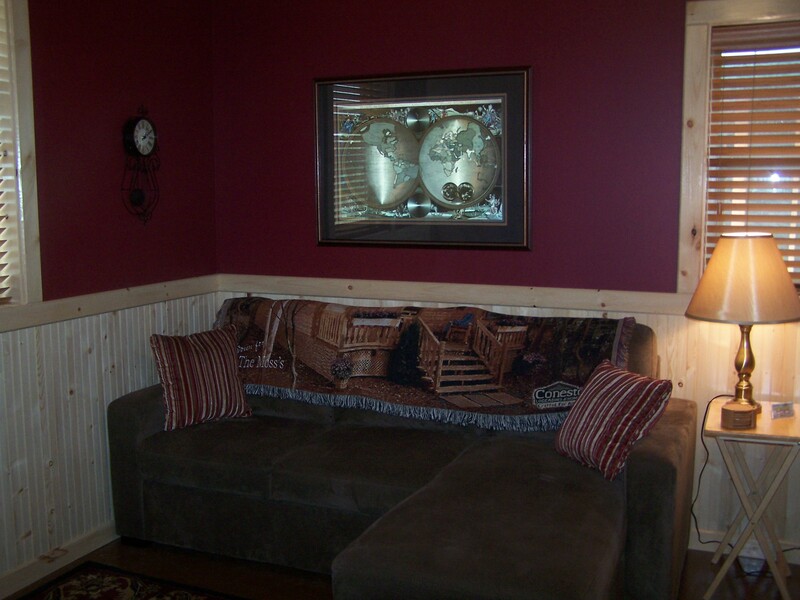 There’s plenty of room on the sleeper/chaise sofa to kick back and watch movies. The sofa opens up into a full bed, so you can have a serious popcorn and movie night cuddled up under the blankets, or use the extra room in case you have your own little ‘castaway’ with you! The dining table seats 4, and the ‘galley’ is set up complete with fridge, stove top, microwave, coffee pot and toaster, along with everything you need for cooking. In the cabinets, you’ll find coffee and creamers, hot chocolate, and popcorn. Pet Friendly: Up to 1 large adult dog or 2 small adult dogs. Just a $15 pet fee for the whole stay. With a 5-minute walk to the ocean, we’re close enough to hear the waves rolling up onto the beach from the hot tub when the weather is right. Whether you’re staying for two days or a week, Captain’s Quarters has everything you’ll need for a fabulously memorable trip!